JAMMU, Feb 11: In another major snub to National Conference and People’s Democratic Party (PDP), Governor Satya Pal Malik has ruled out sanction of any more divisions in Jammu and Kashmir and announced formation of high-level Committee of Secretaries, headed by Principal Secretary, Planning Development and Monitoring Department (PDMP), Rohit Kansal, to take up the issues raised by the people of Kargil following grant of divisional status to Ladakh. Speaking to reporters, the Governor said this (the grant of divisional status) was long standing demand of Leh and Kargil, which has been conceded by the Government. 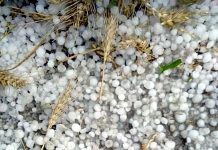 “It was necessary (to grant divisional status to Ladakh),” he said. 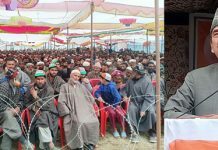 In response to a question on demand raised from some quarters especially by National Conference and PDP for divisional status to ‘Chenab Valley’ and Pir Panjal range, Malik replied in negative. 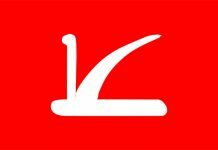 National Conference and PDP have been openly supporting the demand for grant of divisional status to ‘Chenab Valley’ comprising Doda, Kishtwar and Ramban districts and Pir Panjal range including twin border districts of Rajouri and Poonch. National Conference vice president and former Chief Minister Omar Abdullah had gone to the extent of declaring that when his party is voted to power, it will grant divisional status to `Chenab Valley’ and Pir Panjal range. However, the BJP has categorically opposed such a demand saying it was motivated by vested political interests of the two parties (NC and PDP). “It (divisional status) was imperative for both the districts of Leh and Kargil,” Malik said. 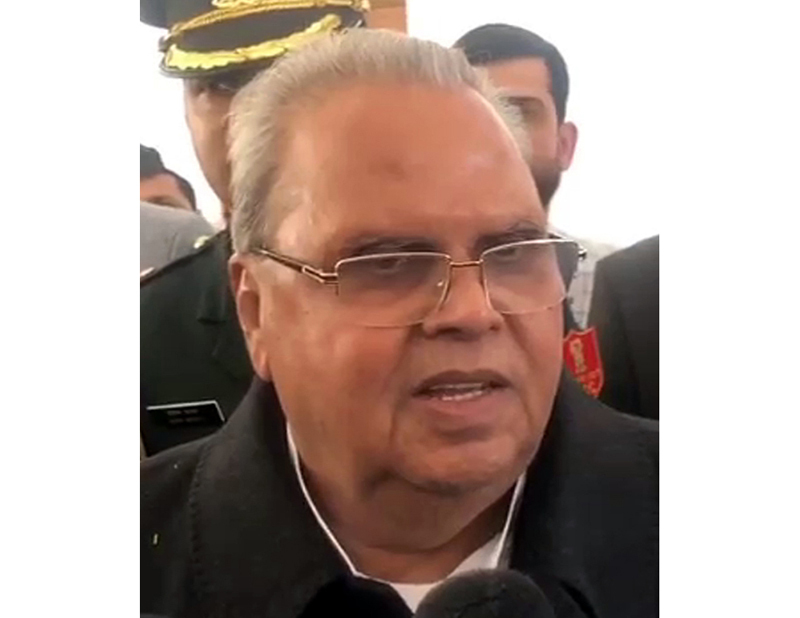 This was another snub of Governor Satya Pal Malik to National Conference and People’s Democratic Party of Omar Abdullah and Mehbooba Mufti respectively, the previous being on the charges leveled by the two leaders that the Malik was politicizing the Raj Bhawan. In response, Malik had stated that the Raj Bhawan was representative of the President of India, whose Government is in New Delhi. “If they (the two parties) continue to abuse the Government, somebody has to reply,” he had stated. Meanwhile, the Governor today announced formation of a high-level Committee of Secretaries to look into the issues raised by the people of Kargil after grant of divisional status to Ladakh. 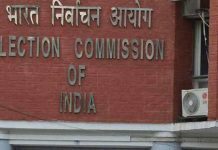 The people of Kargil, cutting across their party affiliations, have been demanding rotational status of divisional headquarters i.e. six months in Leh and six months in Kargil. 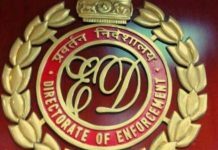 Official sources told the Excelsior that the Committee of the Secretaries will be headed by Principal Secretary, Planning Development and Monitoring Department (PDMP), Rohit Kansal and will have Secretaries including Administrative Secretary, Ladakh Affairs Department. Terms of reference of the Committee are being worked out, they said, adding a formal order to this effect would be issued shortly. 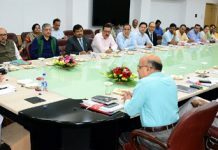 “The Committee is being mandated to visit Kargil, meet the stakeholders, listen to their issues and submit recommendations to the Governor as to what could be done to address issues raised by the people,” sources said. Setting up of the Committee is being considered as a significant step by the Governor’s administration to cool down the highly surcharged atmosphere in Kargil, where the people have hit the streets for past three days ever since the Government announced divisional status to Ladakh with permanent headquarters of the Divisional Commissioner, Inspector General of Police and other senior officers in Leh. 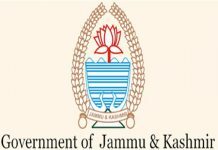 An official handout issued tonight said the Governor and the Government have taken note of the sentiments of the people of Kargil, following the decision to create a new Administrative / Revenue Division of Ladakh. The creation of the division has been a long standing need of the people of Ladakh. 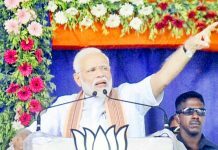 “Ladakh has two districts, Kargil and Leh, and the Government is equally sensitive to the needs and aspirations of both districts. It is also aware of the administrative needs of the region and the connectivity challenges. “It is with this in mind that the Government decision also included the formation of a Committee of very senior officers of the State to determine the location and scope and size of Division level offices, their staffing, size and most importantly, their location in the division,” the spokesman said. People protesting at Pashkum in Kargil on Monday evening. Tension mounted in Kargil late this evening as large number of people marched to Pashkum, about 14 kilometers from the district headquarters on Kargil-Leh National Highway and blocked the entry of newly appointed Divisional Commissioner of Ladakh, Saugat Biswas, during his first visit to Kargil. 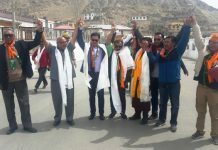 Biswas took charge of the Divisional Commissioner Ladakh in Leh today and was on way to Kargil when the people of Kargil got the report and marched to Pashkum in large numbers and blocked the road there. Deputy Commissioner, Kargil, Vikas Kundal and SSP Kargil, Dr Vinod Kumar along with other senior civil and police officials also reached the spot. 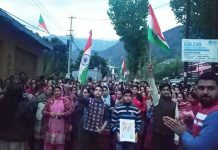 The people shouted slogans of ‘Go back’ and didn’t allow the Divisional Commissioner to enter Kargil. After waiting for about half an hour at Pashkum, Biswas returned to Leh after which the people dispersed. 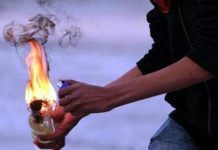 The people of Kargil have been demanding rotational headquarters of the divisional officers of Ladakh at Leh and Kargil for six months each right from the day the divisional status was announced by the State for Ladakh region. The Government has kept the Headquarters of the Division permanently at Leh. Next articleEncounter underway between terrorists and security forces at Ratnipora in Pulwama district.